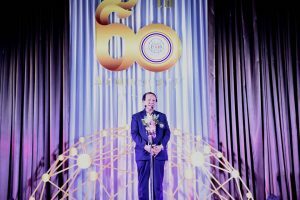 Bangkok, Thailand, February 11, 2019 – The Thailand Volleyball Association celebrated its diamond jubilee on Monday, setting its ultimate target of seeing the Thailand women’s national volleyball team qualify for the 2020 Tokyo Games to make the country’s long-awaited Olympic dreams come true. 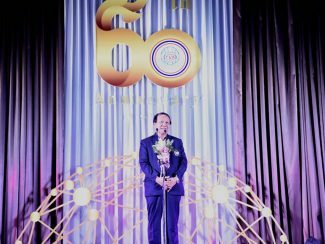 The celebration to mark the 60-year anniversary of the association was held at the Golden Tulip Sovereign Hotel Bangkok on Monday, with current TVA President Mr Somporn Chaibangyang presiding. Guests of honour included AVC Secretary-General Mr Shanrit Wongprasert and Mr Kiattipong Radchatagriengkai, former head coach of the Thailand women’s national volleyball team. Representatives from sponsors and national players from both men’s and women’s teams also joined the celebration. 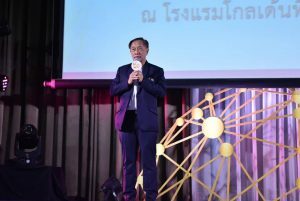 Mr Somporn revealed that to celebrate the TVA’s diamond jubilee, many activities including local competitions for all age groups and major action-packed international tournaments will be held in Thailand this year until the beginning of 2020. 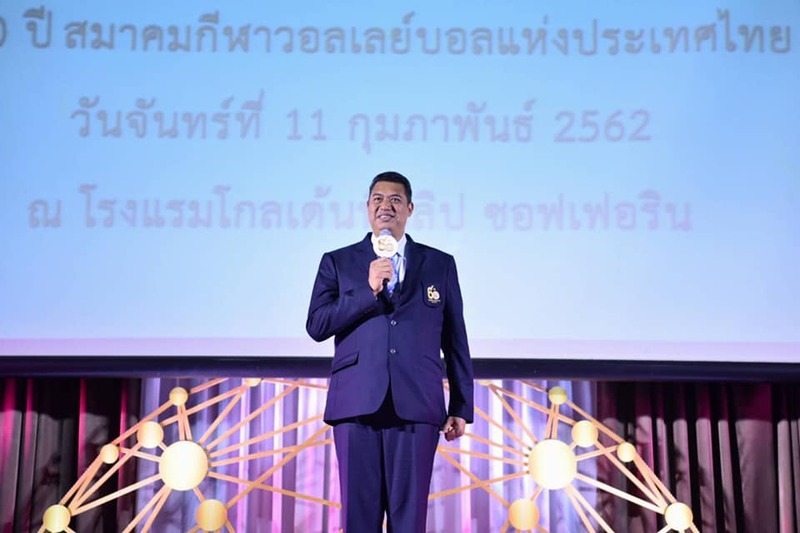 Among them are the Asian U21 Beach Volleyball Championships in Roi-Et in coming March, the Thai-Korea Pro Volleyball All Star Super Match in April, the Volleyball Nations League in June and the FIVB Beach Volleyball U21 World Championships also in June. 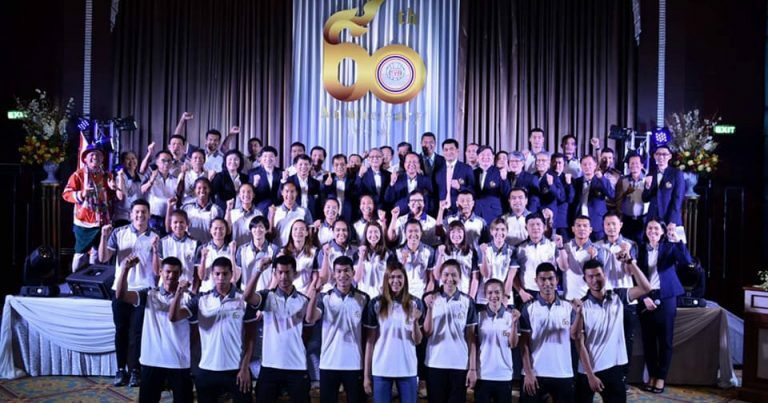 Service activities of coaches, national players and officials will take place in December, while the AVC General Assembly is expected to be held in Thailand early next year. 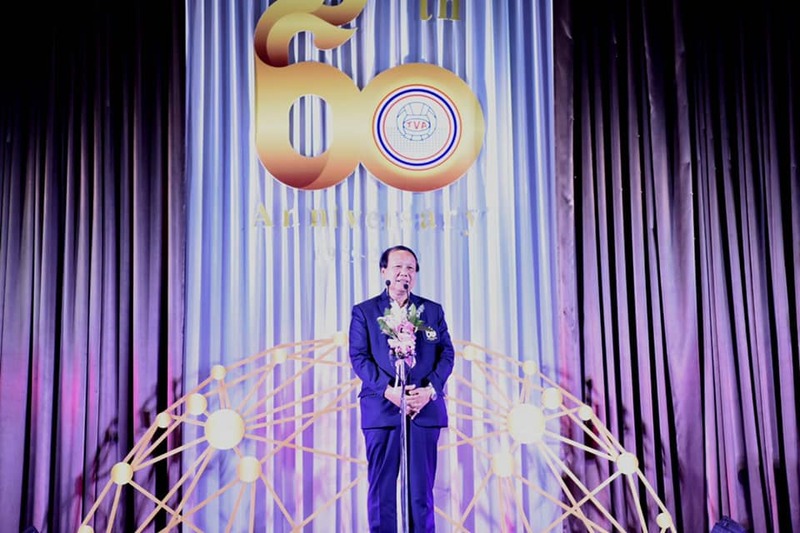 The TVA, the Thailand’s volleyball-governing body and a national federation affiliated to AVC and FIVB, was founded on February 11, 1959 with Gen Surajit Jaruserani at the helm as the first president of the association. 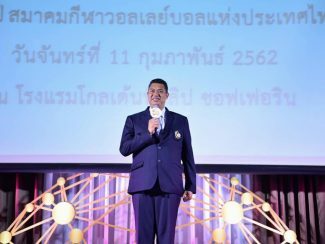 At that time, Thailand hosted the first Southeast Asian Peninsular Games and the men’s volleyball was introduced to the country and the Games in particular. Hosts Thailand captured the historic men’s volleyball gold in the SEAP Games, known as South East Asian or SEA Games later on. However, despite a success of the Thailand’s team in the Games, volleyball was not that popular in the country. A small number of players and required qualified personnels as well as insufficiency of equipments and competition sites and a lack of sponsorship supports all played influential roles in making the sport unpopular from the very beginning. The first 25 years down the road, Thailand volleyball still had a tough going. Their team was not successful in both the Asean- and Asian levels and could not catch up with powerhouses such as China, Japan and Korea. Nonetheless, a big change which led to sustainable development of Thailand volleyball dated back to 1985 when the so-called three musketeers, Mr Kij Pluckcha-oom, the founder of the Grand Spot Group, Mr Shanrit Wongprasert, at that time Honorary Secretary-General, and Honorary President Mr Kriangkrai Noppasong, invited the then Interior Permanent Secretary Pisarn Moolsartsathorn to take office. Clear-cut long-term and short-term development policies had been released, while professional administration management was brought for use to obtain qualified personnels including referees, coaches, players and officials. Those who later on succeeded Mr Pisarn as the TVA President also came from the Office of the Permanent Secretary for Interior and they all followed in his successful footsteps. A good coordination and cooperation with the AVC and the FIVB also allowed the TVA chances to host more international volleyball competitions and send their teams for overseas tournaments. Thailand and the TVA in particular received the green light from AVC and FIVB to host several major volleyball competitions and by obtaining experience and composure, Thailand volleyball has been improving in leaps and bounds. Their women’s team have so far beaten all the world’s bests including Brazil, the USA, China, Serbia and Russia and also strong teams such as Japan, Italy, the Netherlands and Korea. Their remarkable performances included two-time Asian champions in 2009 and 2013 and fourth place at the FIVB World Grand Prix in 2012. 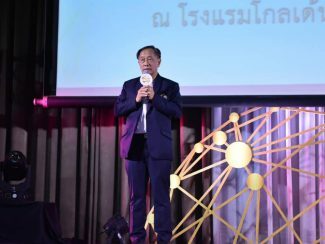 More importantly, Thailand was entrusted by the AVC to inaugurate the AVC Headquarters in Bangkok and by the FIVB to set up the FIVB Development Centre Thailand.